When it comes to Hyundai SUVs, it’s hard to choose between the 2019 Hyundai Tucson and the 2019 Hyundai Santa Fe. That’s because both are affordable options with comfortable interiors, plenty of cargo space, and efficient performance specs. But we know you can only go home with one car for your Laurel-area family, so we’re comparing the Hyundai Tucson vs Santa Fe to help you decide. 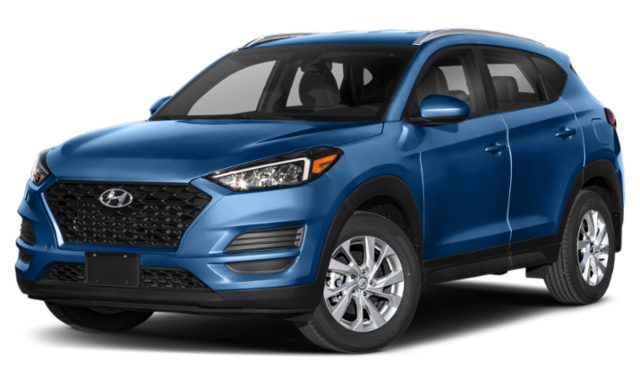 The 2019 Hyundai Tucson starts at $23,200 MSRP for the front-wheel drive model. The starting price for the all-wheel drive model is $24,600 MSRP. The 2019 Hyundai Santa Fe starts at $25,500 MSRP for the front-wheel drive model. The starting price for the all-wheel drive model is $27,200 MSRP. 2019 Hyundai Tucson: The Tucson runs on a 2.0L inline 4-cylinder engine that delivers 161 hp and is paired with a six-speed automatic transmission with SHIFTRONIC®. The base engine with FWD makes an EPA-estimated 23 mpg/city and 30 mpg/highway, and with AWD, it makes an EPA-estimated 22 mpg/city and 25 mpg/highway. 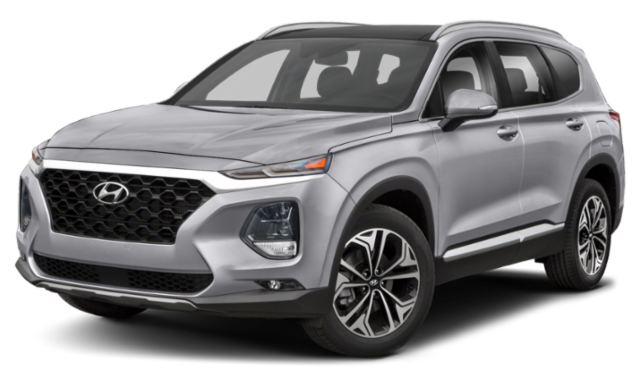 2019 Hyundai Santa Fe: The Santa Fe runs on a 2.4L inline 4-cylinder engine that delivers 185 hp and is paired with an eight-speed automatic transmission with SHIFTRONIC®. The base engine with FWD makes an EPA-estimated 22 mpg/city and 29 mpg/highway, and with AWD, it makes an EPA-estimated 21 mpg/city and 27 mpg/highway. 2019 Hyundai Tucson: The Tucson interior provides 39.6 inches of front headroom, 41.5 inches of front legroom, 39.2 inches of rear headroom, and 38.2 inches of rear legroom. Behind the second row you get 31 cubic feet of cargo space, and behind the first row, you get 61.9 cubic feet. 2019 Hyundai Santa Fe: The Santa Fe interior provides 41.2 inches of front headroom, 44.1 inches of front legroom, 39.2 inches of rear headroom, and 40.9 inches of rear legroom. There’s 35.9 cubic feet of cargo space behind the second row and 71.3 cubic feet behind the first row. Tucson vs Santa Fe: Which Will be Your Next SUV? Now that you’ve compared these Hyundai SUVs, you’ll have an easier time deciding between the two. For a more affordable option, go for the Tucson. For more interior space, opt for the Santa Fe. Still not sure? Visit us in Billings to see both SUVs in person and take them for a test drive. Contact us with questions or to set up your visit!